Removing or shifting your furniture from one place to other, whether locally or nationwide in South Africa, is considered to be one of the most hectic and stressful job. This scenario requires a great assistance from trustworthy furniture removals Durban. This will result in a safe and secured transportation of your costly and valuable furniture to or from Durban. You will get enormous benefits by getting industry best furniture removals in Durban by Leopard Movers. We have years of experience in the moving industry. Our long list of satisfied clients will assure the crediblity and reliability for which Leopard Movers is known. We are one of the expert furniture removals companies in Durban. With us you will get a professional attitude and excellent service that will reduce your stress and hassle of shifting the valuable furniture to a new destination. Leopard Movers is a family run business, which offers furniture removals Durban & storage. Furniture transportation, household removals & storage, office removals & storage as well as convenient relocation services. We serve Durban, Cape Town, Western Cape, Gauteng, KZN and nationwide at very affordable prices without compromising in the quality of service. – Our furniture removals vehicles are enclosed and equipped with necessary blankets and packaging materials. To keep your furniture safe and secured while it get a smooth transportation to the new destination. 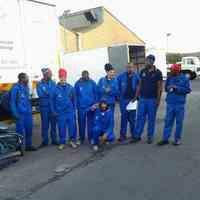 -Experienced and skilled staffs at Leopard Movers. Ensures your furniture is handled with utmost care. -All the furniture removals Durban vehicles are tracked via satellite. That will assure you a peace of mind. We will smoothly handle all household furniture removals Durban. We provide fully enclosed body vehicles for ensuring minimum risk. Offer blankets for extra protection. Appoints a supervisor for a strict look on the execution process done by an efficient staff. We will take required measures and have the capacity to make your office furniture removals Durban a safe, secured and hassle free job. Leopard movers are well experienced in successfully handling the challenges associated with office furniture removals. With Leopard Movers be relaxed, while we execute a stress free, safe and convenient furniture removals Durban.